Boat Beacon AIS smartphone/tablet app. If you haven't upgraded your VHF marine radio with Automatic Identification System (AIS) yet and are looking for an affordable way for your yacht to appear on global internet based AIS traffic sites like Marine Traffic, ShipFinder and AIS Hub, Boat Beacon by Pocket Mariner may be worth considering. 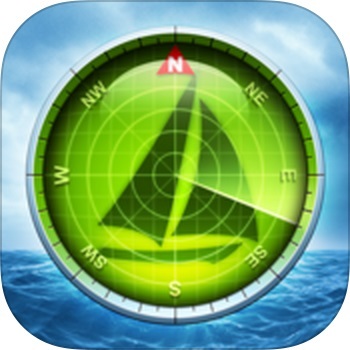 Boat Beacon is available for iPhone/iPad and Andriod smartphones and tablets. It is specifically designed for use on the water, uniquely providing Bearing, Range and Closest Point of Approach (CPA) calculations in addition to all the standard AIS information. Uses up to the second AIS feeds. NB. Some free AIS apps don't update as frequently. When your device is within cellular coverage range and when enabled, Boat Beacon will share your current position, status and ship details for other Boat Beacon users to view. If you have an Maritime Mobile Service Identity (MMSI) number set, then your boat will also be visible on the above global interent AIS traffic sites and their assocaited mobile applications. Make sure you disable this feature when you leave your boat. For more details of Features, requirements and limitations, see http://pocketmariner.com/boatbeacon/. Boat Beacon is available now in the Apple App Store for iPhone and iPad and in the Andriod Google Play Store for Android phones and tablets. Boat Beacon should NOT be used for navigation. Boat Beacon should not be relied upon to determine precise locations, proximity, distance, or direction or make navigational decisions. Boat Beacon is not an AIS VHF Transponder. Your boat will not show up on other Ship based VHF AIS systems (unless they are linked to a common Global AIS system). For more information on AIS http://www.amsa.gov.au/navigation/services/ais/index.asp. In Australia the Australian Maritime Safety Authority (AMSA) allocates and issues Maritime Mobile Service Identity's (MMSI). For more details, please refer to: http://www.amsa.gov.au/search-and-rescue/distress-and-safety-comms/mmsi/. The ORCV will be conducting a trial of the Boat Beacon app with entrants in the ORCV 2015 Melbourne to Port Fairy race. The Bureau of Meteorology would like to keep you informed about a number of changes to our MetEye, Marine and Tide services over the next few weeks. A number of changes to MetEye will occur on 25 November making the web maps more useful for mariners. • The map of 'Forecast wind in knots' will become the default display layer when you open MetEye each time. • The MetEye Disclaimer automatic pop-up will be disabled. • Wave forecasts will now be available for all grid squares along the coastline. • Maps for Northern Territory became available on 20 November to complete the national coverage. As of 2 December 2014, the old tide prediction pages will be discontinued. Users should now update their bookmarks to the new Tide Portal www.bom.gov.au/australia/tides. The new Tide Portal offers a number of features that make looking up tidal information significantly easier. • Mariners can bookmark their favourite tide location for easy reference. • There are 7 day tide predictions for over 400 locations. • The tide times are automatically adjusted for daylight savings in relevant States. Weather information from the Bureau of Meteorology has become more detailed and comprehensive in recent years, placing pressure on the existing HF radio schedules. A change to the HF broadcast schedule is required from 1 December 2014 to ensure that all relevant weather information is broadcast during the allotted time schedule. The Bureau of Meteorology has requested that the broadcast time for Navigational Maritime Safety Information (MSI) be shifted thirty minutes earlier. 1. Navigational MSI will be broadcast 30 minutes earlier from 1 December 2014. 2. The allocated time for Navigational MSI will be expanded from 3 minutes to 5 minutes. The Bureau of Meteorology has developed a new web page designed for mariners, such as those on cruising yachts and commercial vessels, whose offshore access is limited to satellite internet communication channels only, or in areas of marginal mobile phone coverage. The new web page, called ‘MarineLite’, will present High Seas, Coastal and Local Waters forecasts and warnings in a simple text-only format, making them both faster and affordable. Each MarineLite product version is designed to be less than 4Kb in size - 95 per cent lighter than the same webpages on the Bureau’s main website. A safety audit is an inspection conducted by an accredited National Equipment Auditor (NEA) who represents the ORCV, which must be done prior to competing in an ORCV ocean race. Yachting Australia (http://www.yachting.org.au/wear-your-life-jacket-to-work-friday-16-may) tells us that Australians are being encouraged to join a worldwide safety initiative and Wear Your Life Jacket to Work Day on Friday 16 May, 2014. Many of us spend 40+ hours each week at work. Sometimes it feels like a home away from home. Why not share with your co-workers and other commuters the importance of boating safety while at work? Join hundreds of boating advocates around the world this Friday, 16 May, 2014 to show how easy it is to wear a life jacket during Wear Your Life Jacket to Work Day, and show others how easy (and comfortable) wearing a life jacket is, even while at work. This annual safe boating campaign was started by the USA's National Safe Boating Council http://www.safeboatingcouncil.org and has now been adopted in Australia, Brazil, Canada, Finland and Japan. It is also supported in Australia by Australia New Zealand Safe Boating Education Group (ANZSBEG) http://www.anzsbeg.com.au. The members of ANZSBEG are representatives of State and Northern Territory government boating authorities, Australian Maritime Safety Authority, New Zealand Maritime Safety Authority, Australian Yachting Federation and the Australian Boating Industry Association. Our crews who are taking Friday off to head down the Bay for the start of this weekend's Apollo Bay race on Saturday morning, will be wearing their PFDs on Friday. Send us your selfie photos at or on your way to work via our Facebook page if you're game. The ORCV always starts ocean races just before slack water at Port Phillip Heads in order to reduce the risks for the boats when transiting the Heads. Needless to say, other boats entering or leaving Port Phillip also choose this desirable time to transit the Heads so our fleets will often encounter other, sometimes much larger, boats around race start times. About an hour before a race starts, the Race Director contacts the Port of Melbourne VTS (vessel traffic services) to ascertain ship movements in the vicinity of the race start time. Depending on ship movements, the race start may go ahead, be delayed or whatever other arrangement is made between VTS and the Race Director. For example, it might be possible to start a race providing all boats stay well clear of the main channel, preferably well to the west in the Four Fingers Channel area. The Race Director will always provide any such guidance in the Pre-Race Shipping advice communication to the fleet on VHF 12 fifteen minutes prior to the scheduled start time. In any event, given their limited manoeuvrability in the limited waters of the Heads, the larger ships have right of way and yachts must do everything possible to stay well clear of them until well out to sea.